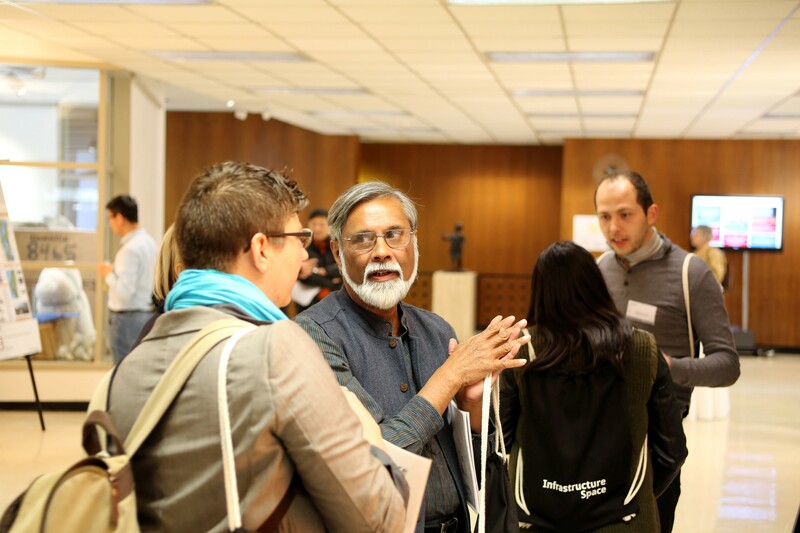 The breaks in between the sessions are used to exchange thoughts about the keynote speeches. 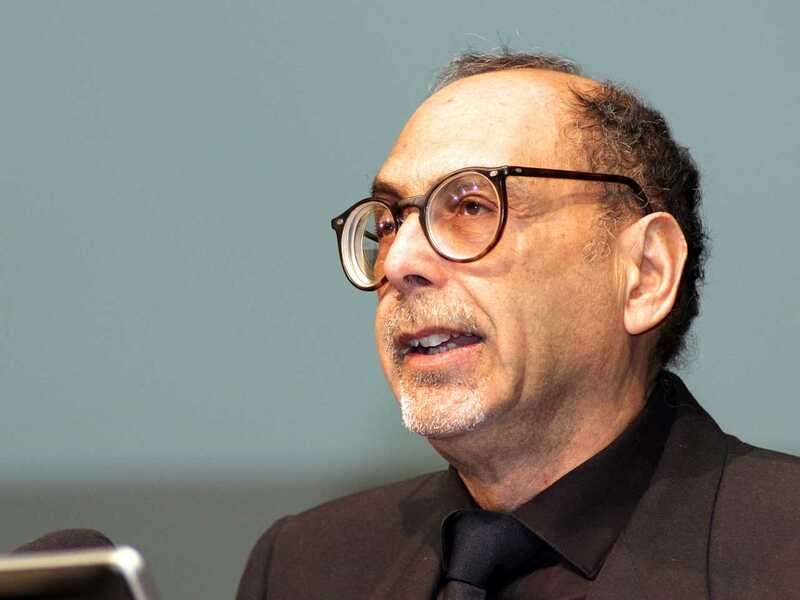 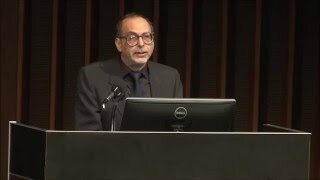 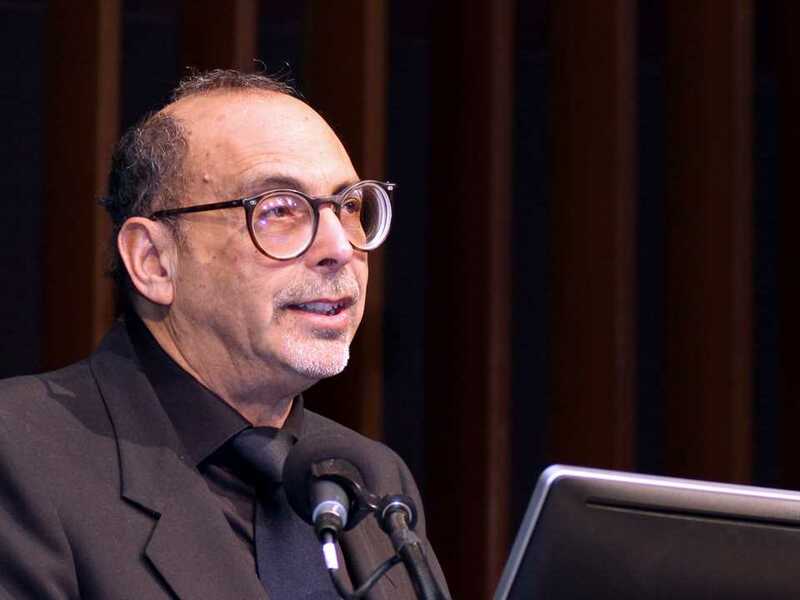 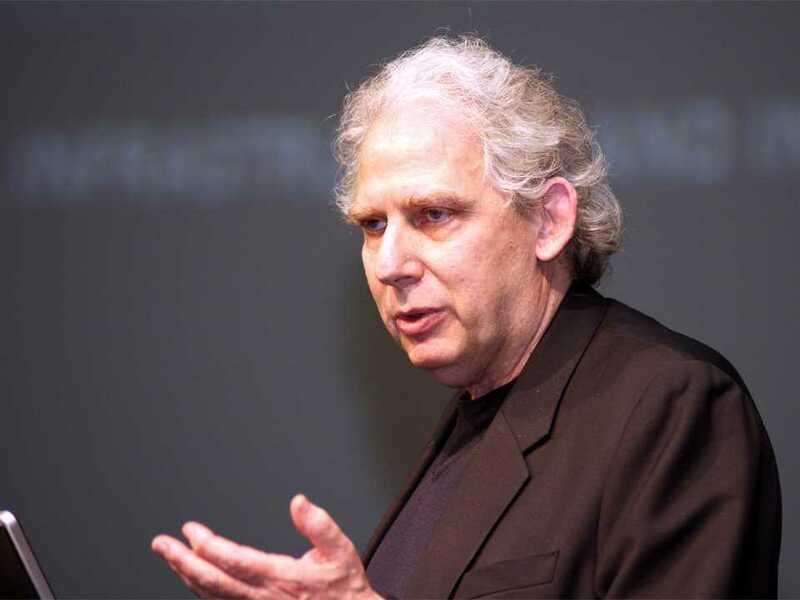 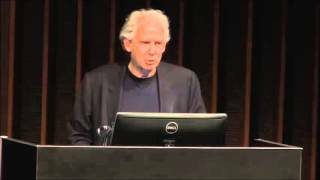 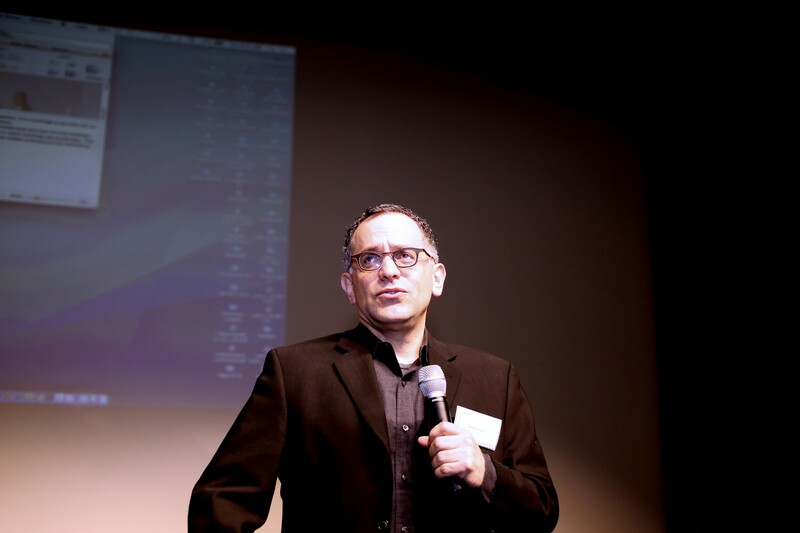 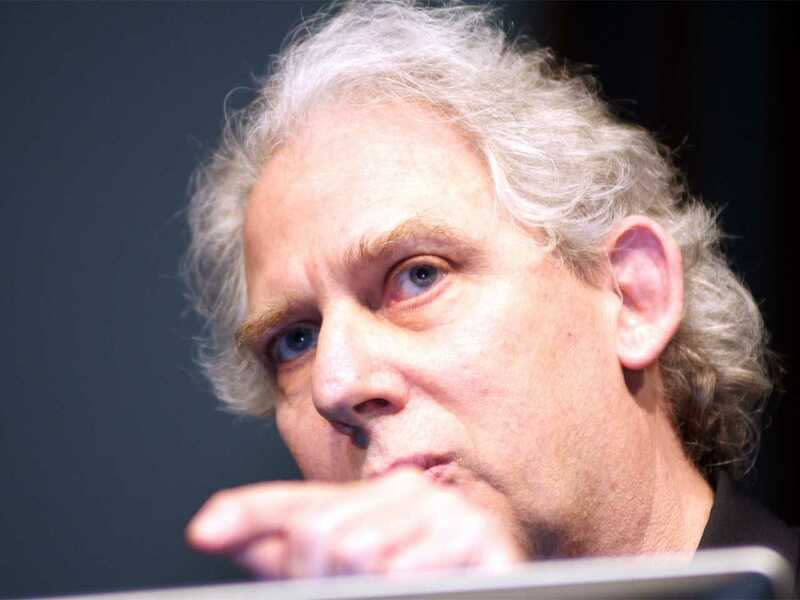 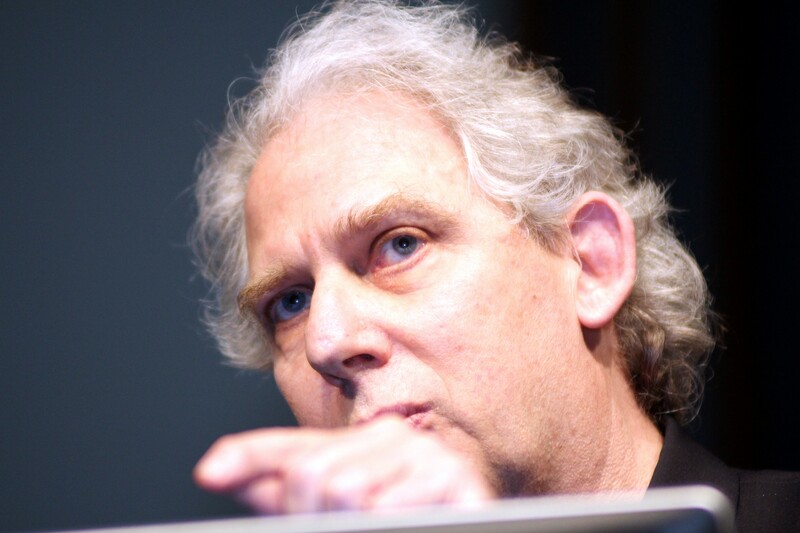 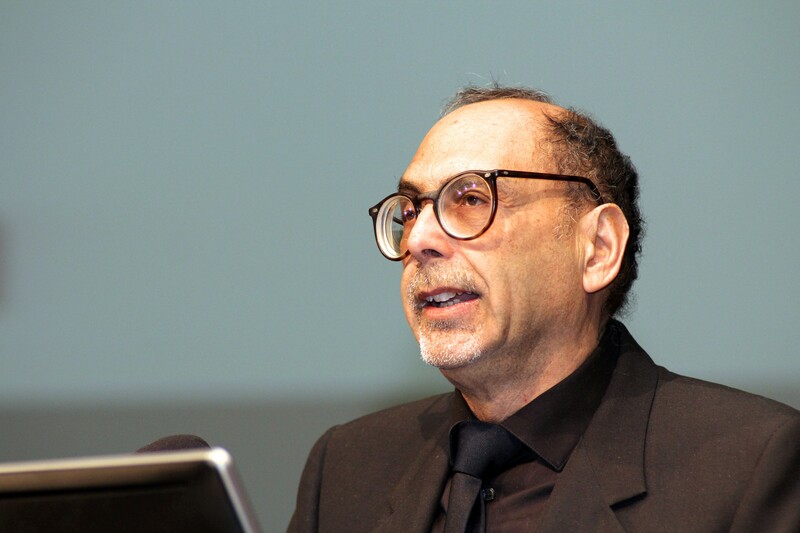 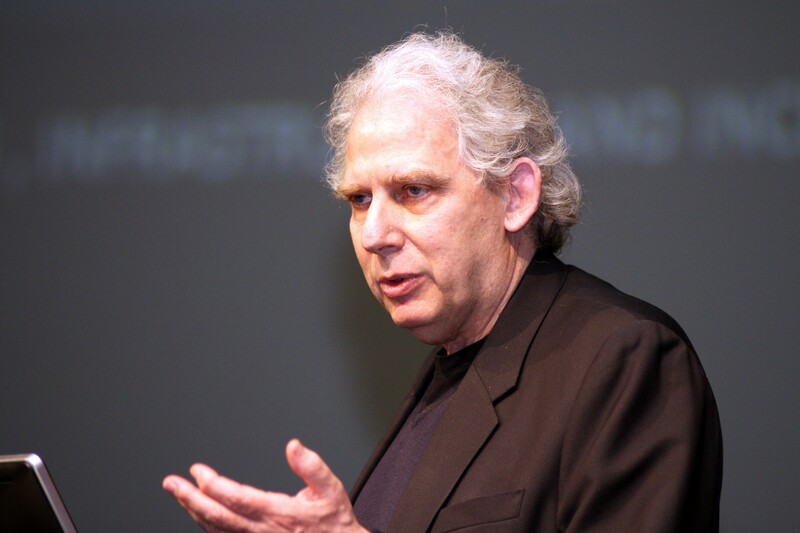 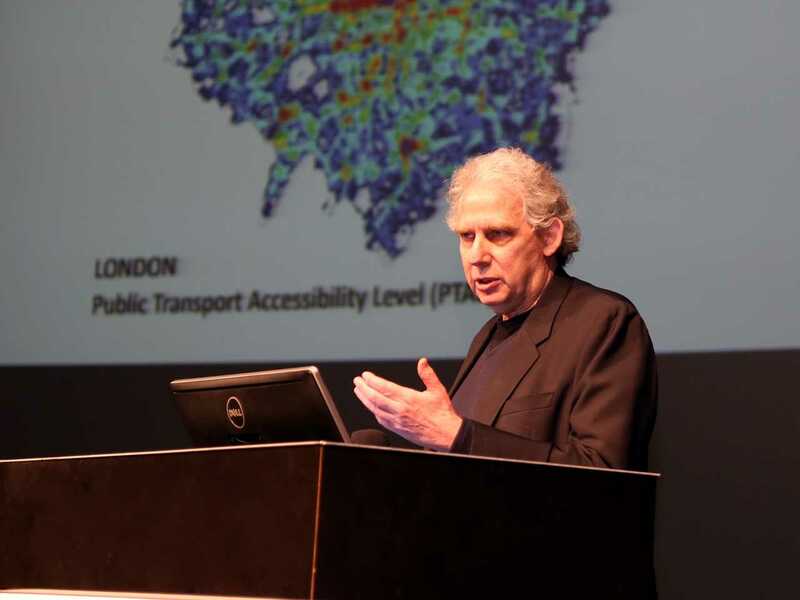 Robert Fishman, interim Dean, Taubman College of Architecture & Urban Planning, University of Michigan, USA. 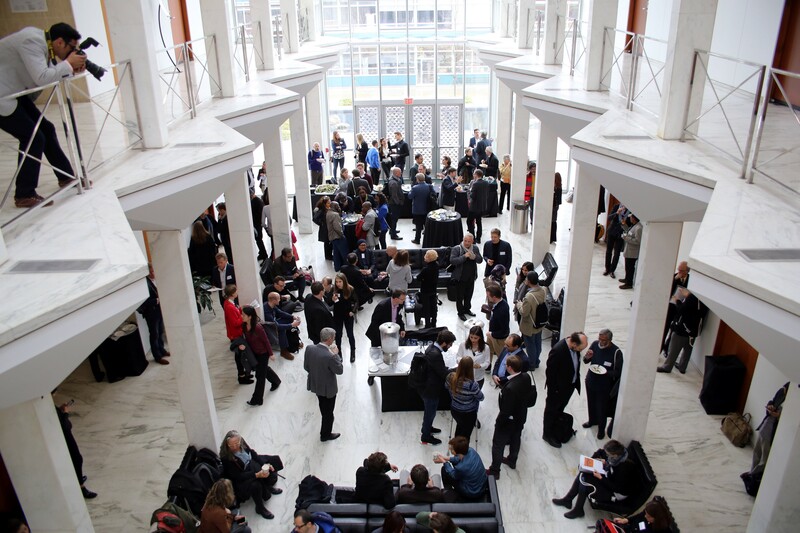 The Forum was attended by some 300 participants from all continents, and featured keynote addresses by internationally-renowned experts. 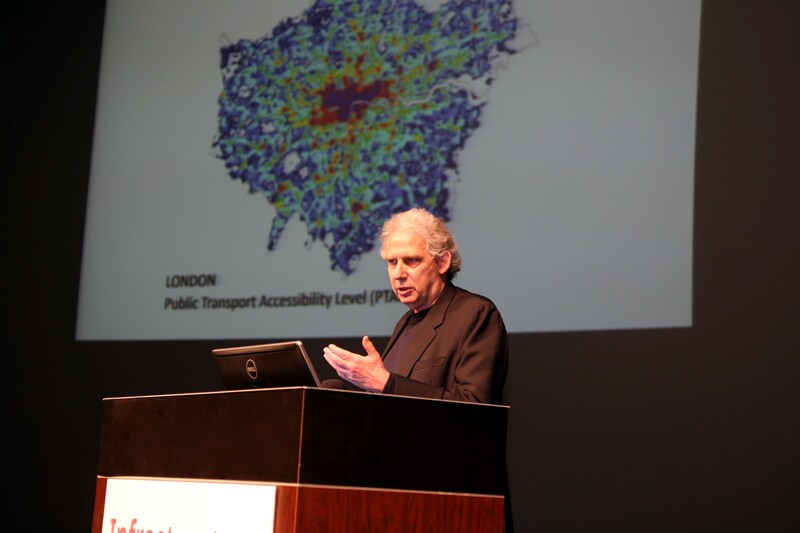 Urbanism and regeneration advisor Ricky Burdett, Professor at the London School of Economics & Political Science (LSE), United Kingdom confirmed the important role of infrastructure as a change agent for enabling more socially viable environments. 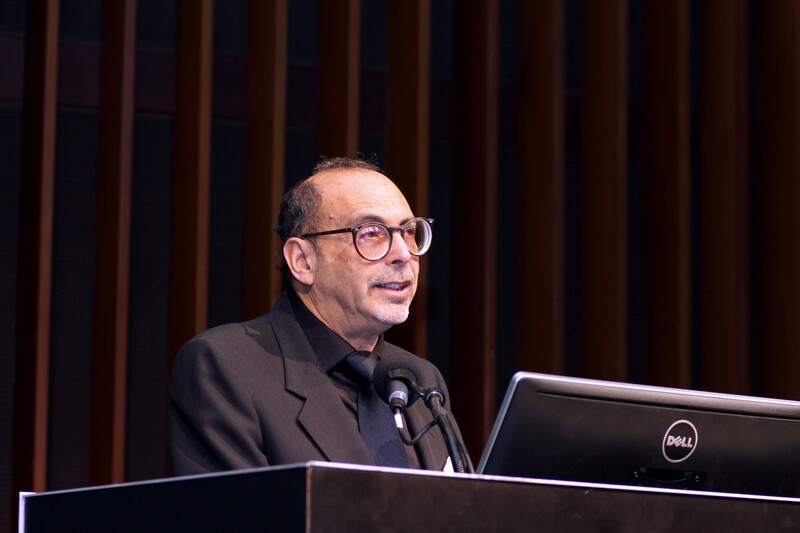 “With the rise of the city, urban infrastructure is key to sustainability, and has the opportunity to make a profound impact”, he said. 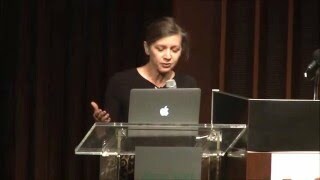 Architect and global infrastructure researcher Keller Easterling, Professor at Yale University, USA developed a conceptual framework based on her research and publication Extrastatecraft. 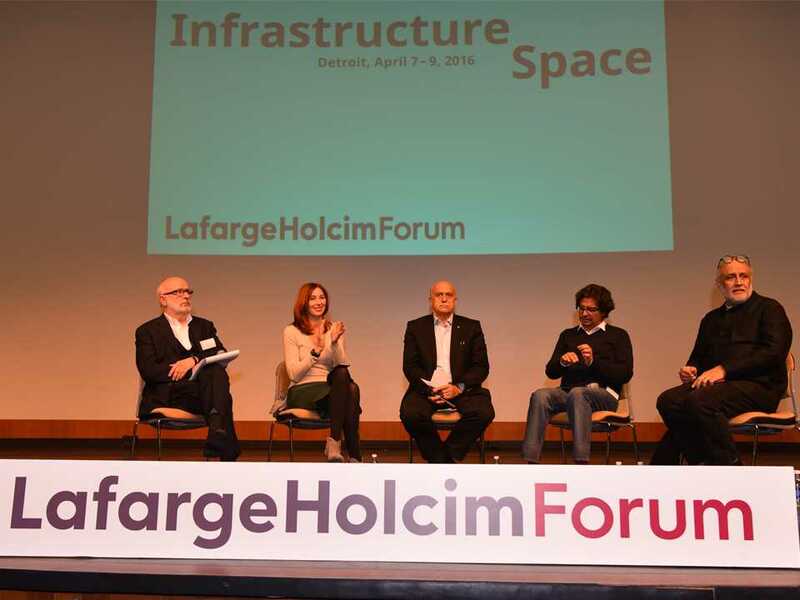 “Infrastructure space is an operating system for shaping the city – and highlights the art of design’s relevance as a tool for addressing radical changes to the globalizing world”, she said. 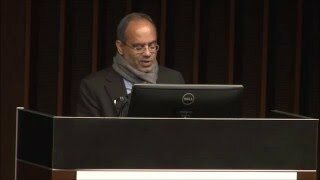 Detroit Free Press journalist and Pulitzer Prize winner Stephen Henderson, USA introduced conference attendees to the complexities of sustainability in the context of Detroit’s urban core. 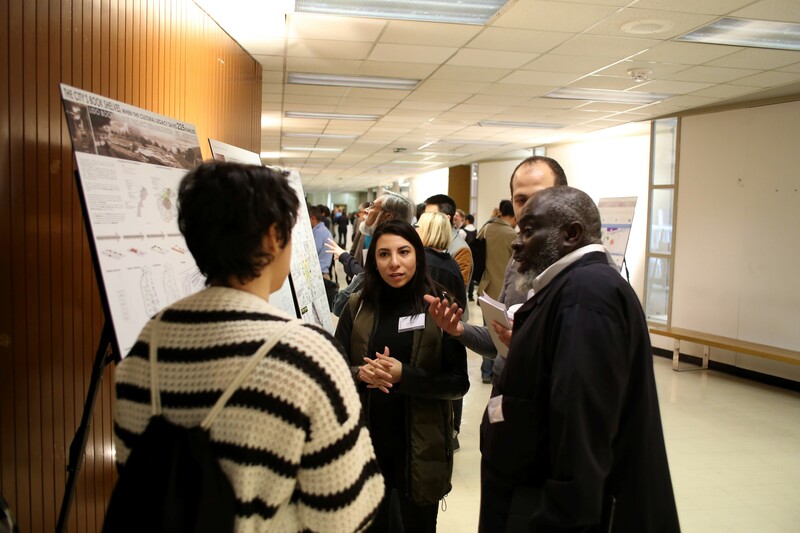 “The abandonment and potential rebirth of one Detroit neighborhood can deepen our understanding of urban sustainability”, he said. 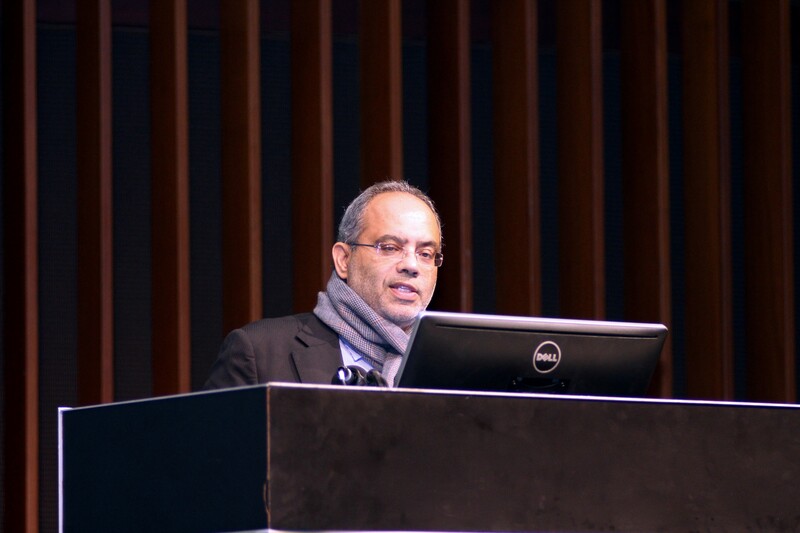 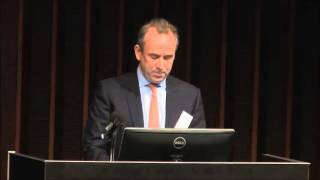 African infrastructure and development expert Carlos Lopes, Executive Secretary of the United Nations Economic Commission for Africa (UNECA), Ethiopia provided a forecast for the development of infrastructure in Africa. 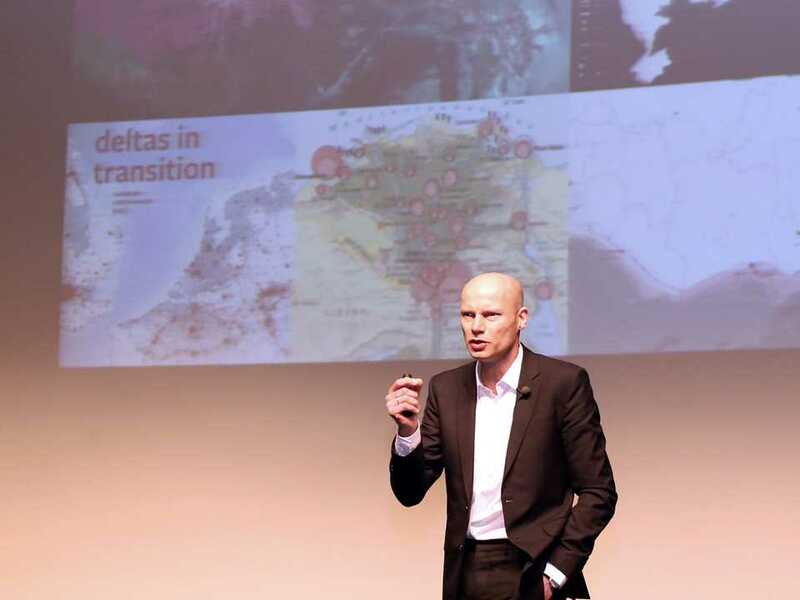 “Contextualizing current market conditions and properly understanding risk will be an important contribution to the region’s future”, he said. 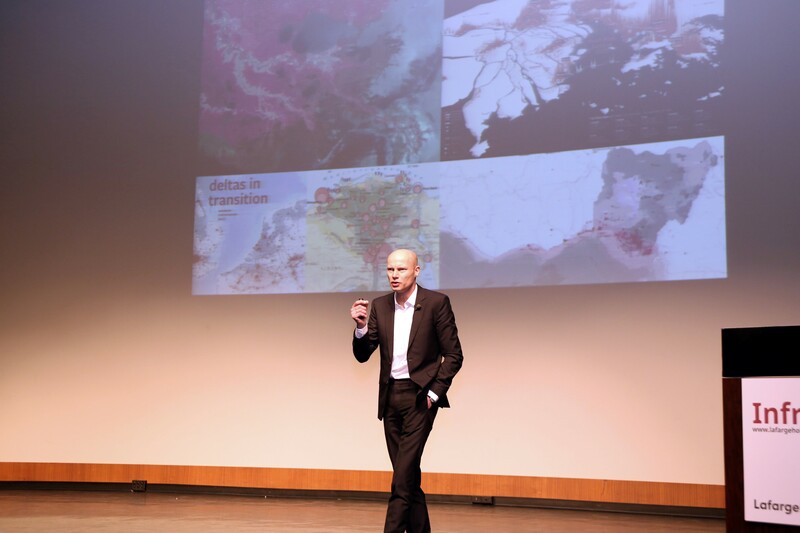 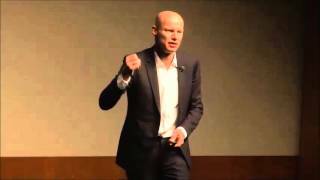 Ambassador for Water, Henk Ovink, Special Envoy for International Water Affairs, the Netherlands illustrated how the risk of water is best addressed at the metropolitan and regional scale. 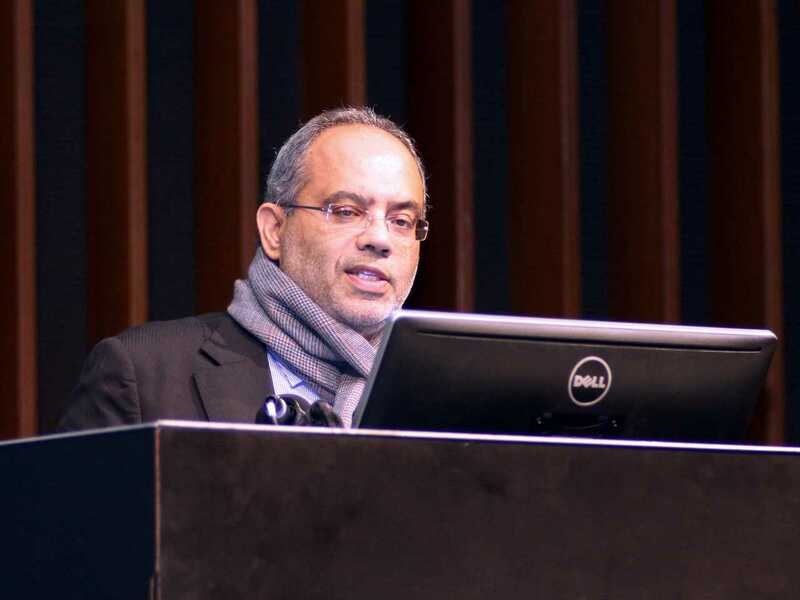 “Water, as the number one global risk, is at the heart of this uncertain future”, he said. 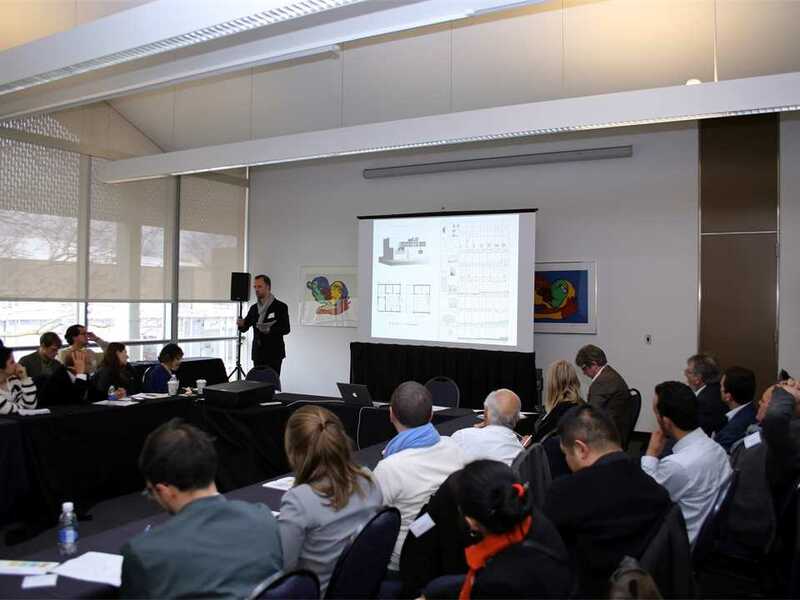 Concurrent workshop groups led by contributions from more than 30 international experts advanced concepts for a sustainable built environment at four different scales: Absorbing contemporary technologies (Architectural scale), Expanding toolsets for urban infrastructure (Metropolitan scale), Recognizing politico-environmental ecologies (Territorial scale), and Exploring patterns of worldwide urbanization (Planetary scale). 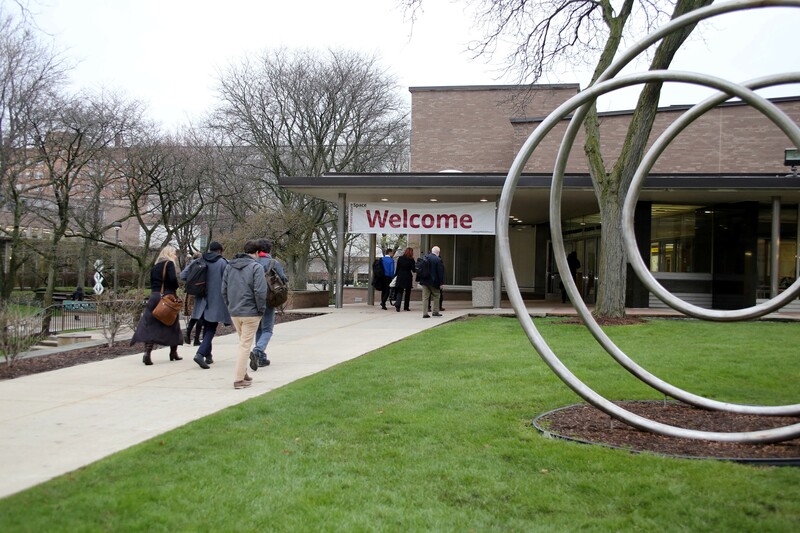 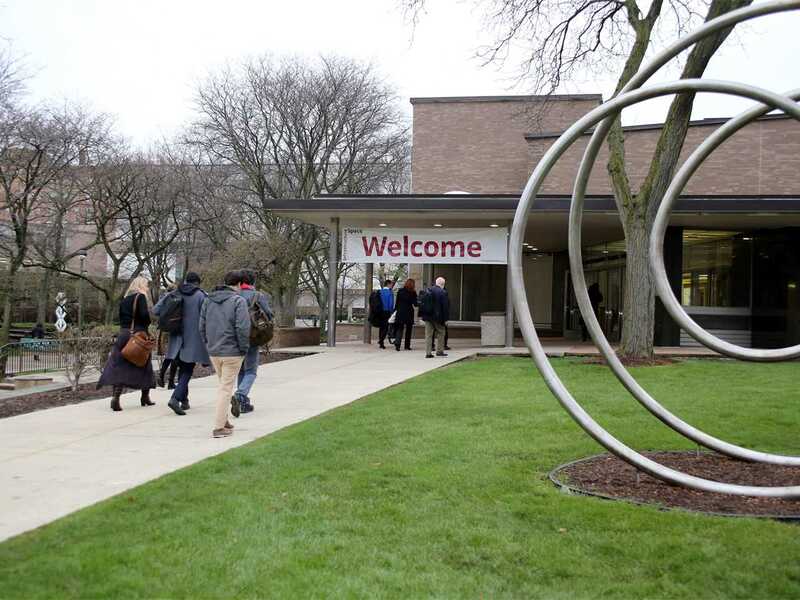 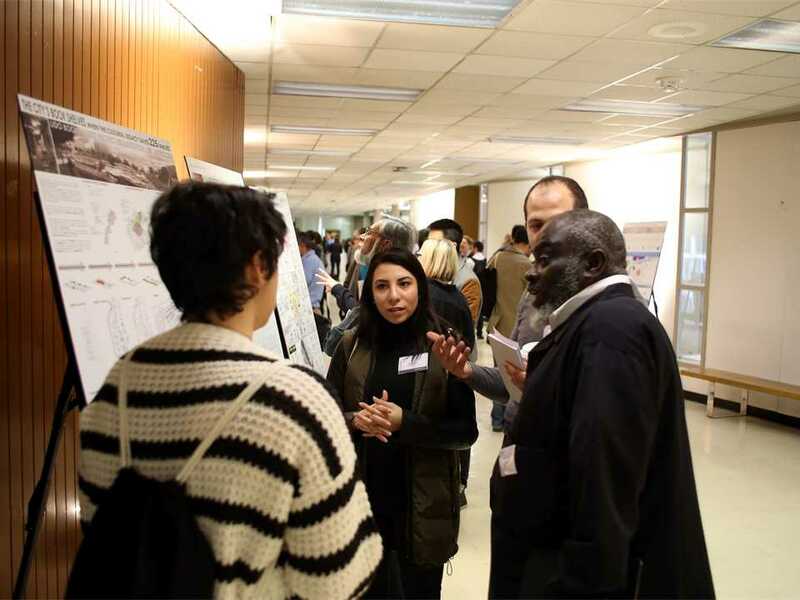 Full-day excursions intersecting with the theme of “Infrastructure Space” visited sites throughout Detroit and provided a local contextualization of global discussions. 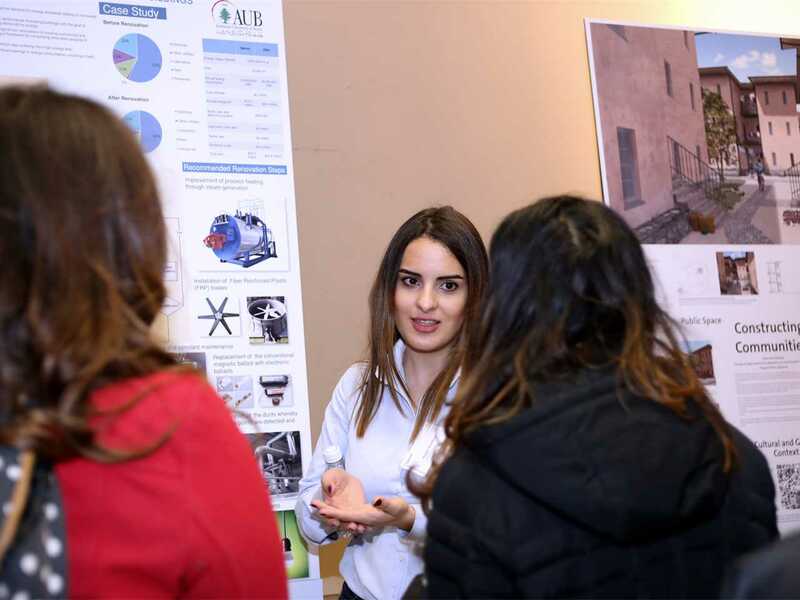 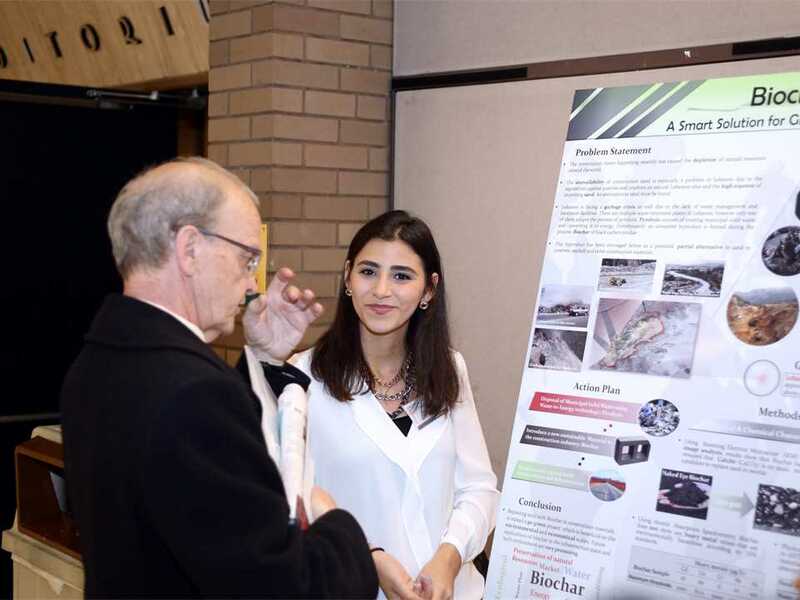 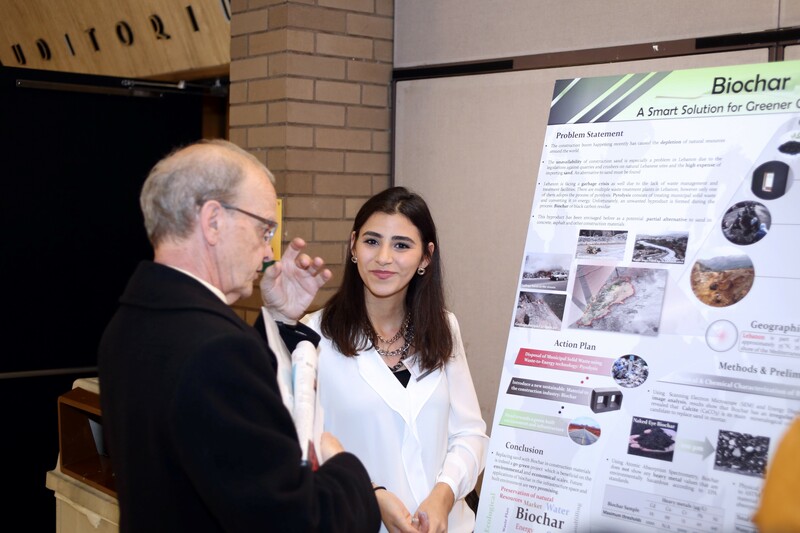 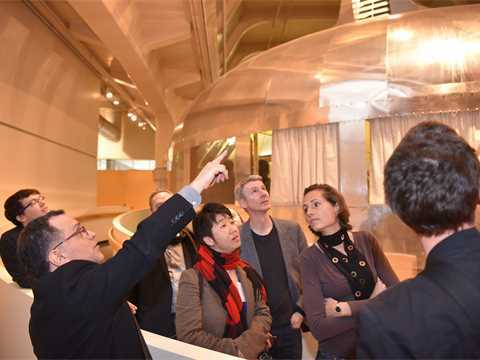 The Forum also brought together participants of leading technical universities affiliated with the LafargeHolcim Foundation including post-graduate students who presented their concepts in an exhibition of tomorrow’s “Infrastructure Space”. 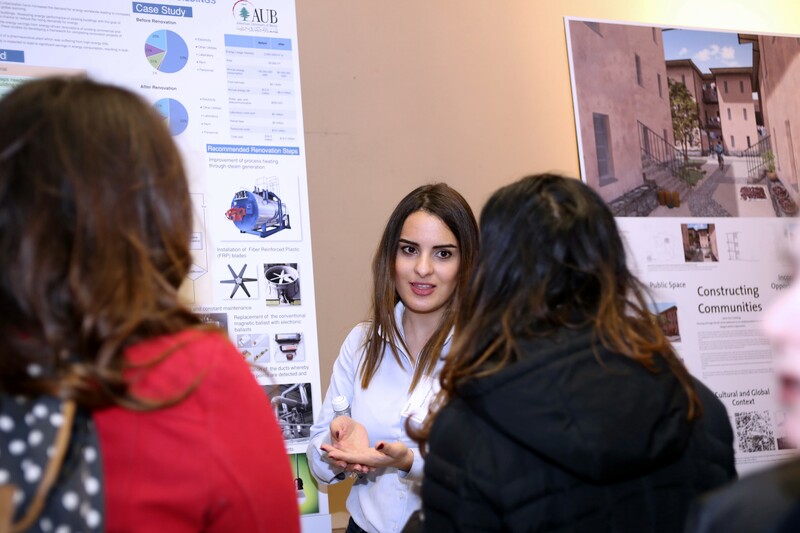 The universities represented were: American University of Beirut, Lebanon; American University in Cairo, Egypt; Ecole Supérieure d’Architecture de Casablanca, Morocco; Massachusetts Institute of Technology, USA; Universidad Iberoamericana, Mexico; Universidade de São Paulo, Brazil; University of British Columbia, Canada; University of Melbourne, Australia; University of Michigan, USA; University of the Witwatersrand, South Africa; Swiss Federal Institute of Technology (ETH Zurich & EPFL Lausanne), Switzerland; and Tongji University and Tsinghua University, China. 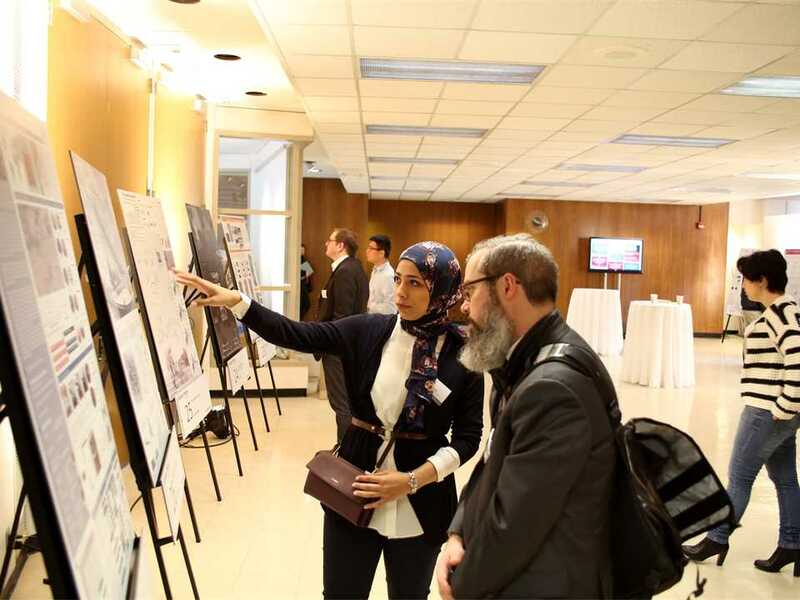 The winners of the student poster competition Eduardo Pizarro (Brazil), Nour Madi (Lebanon), Najib Abdellaoui (Morocco), Vedhant Maharaj (South Africa) and Rayan Mourad (Lebanon) were announced and received certificates during the concluding session of the Forum. 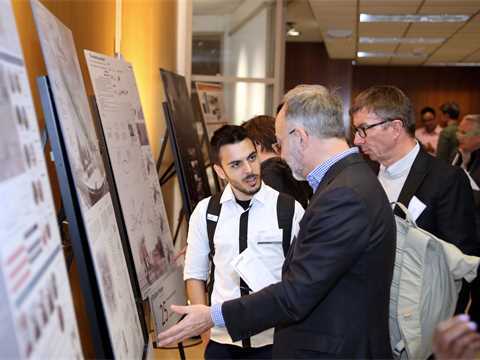 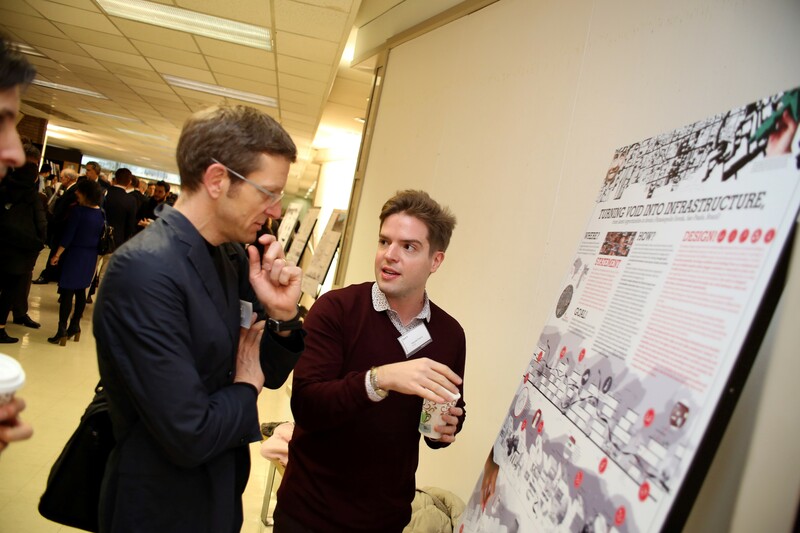 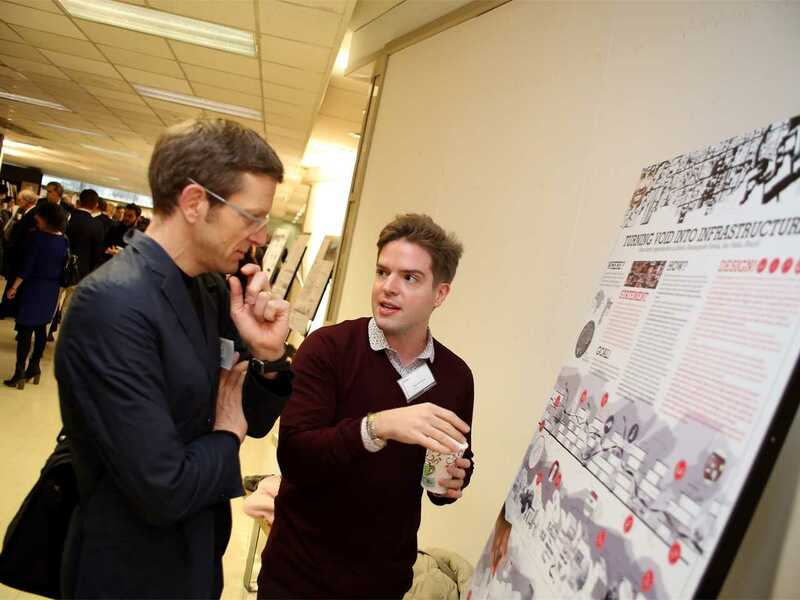 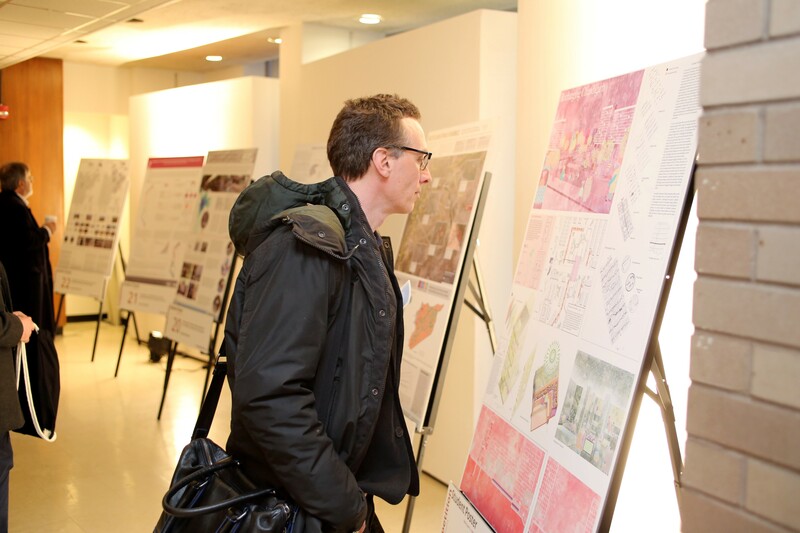 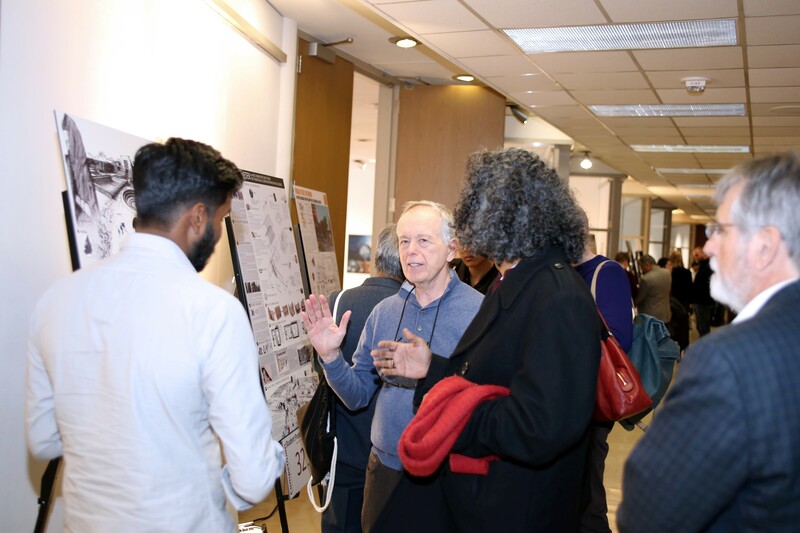 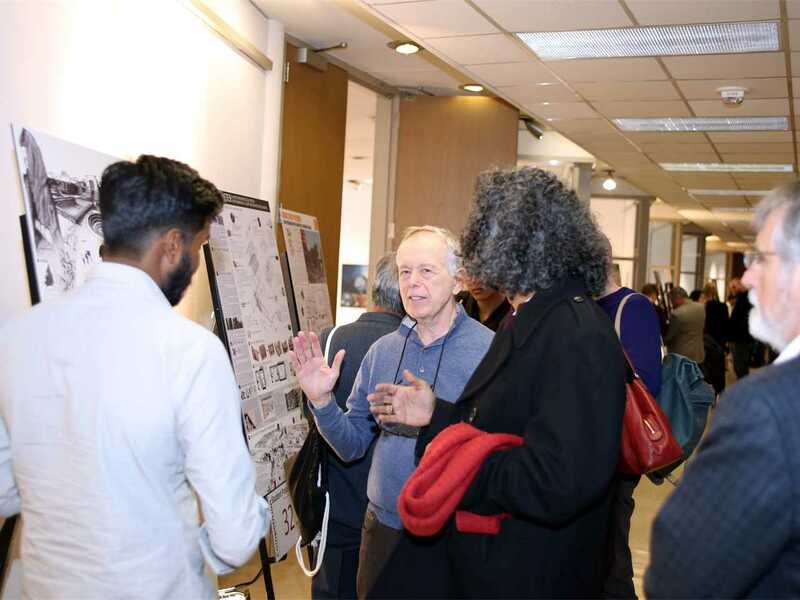 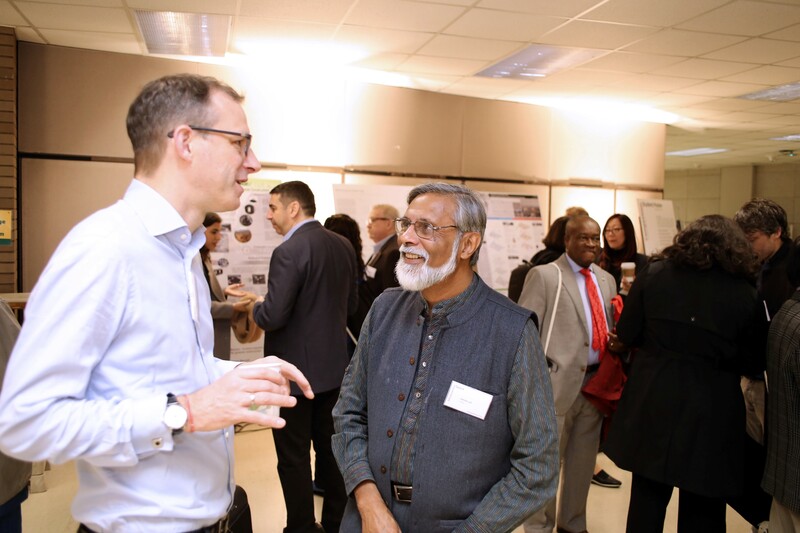 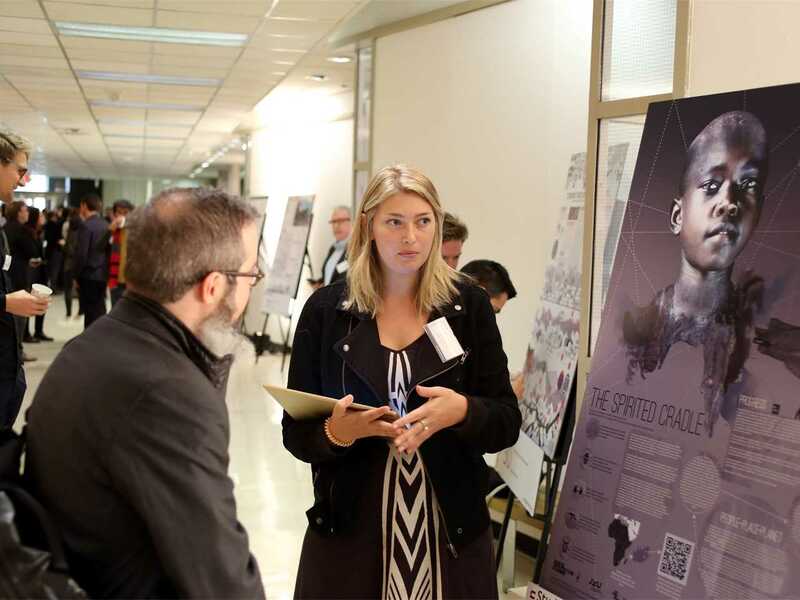 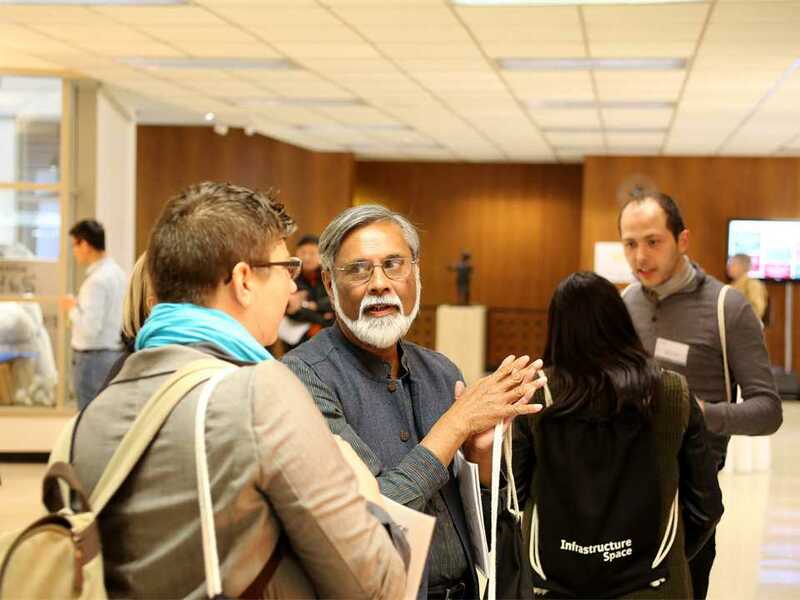 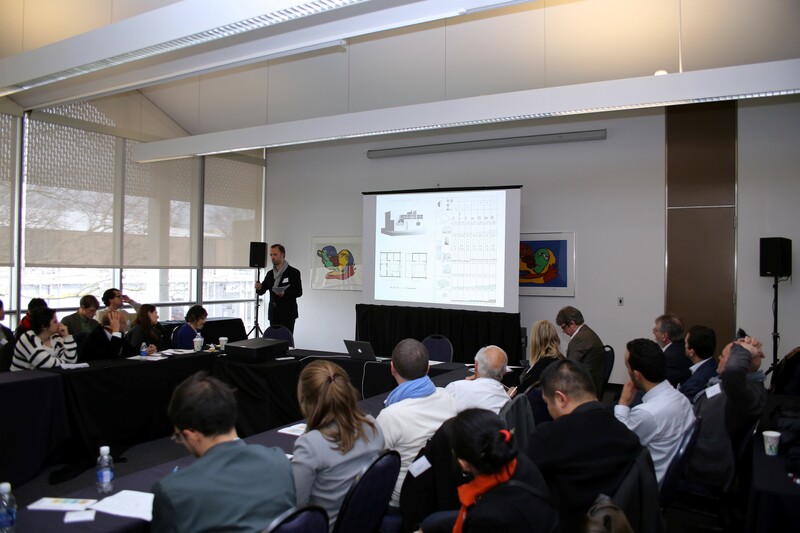 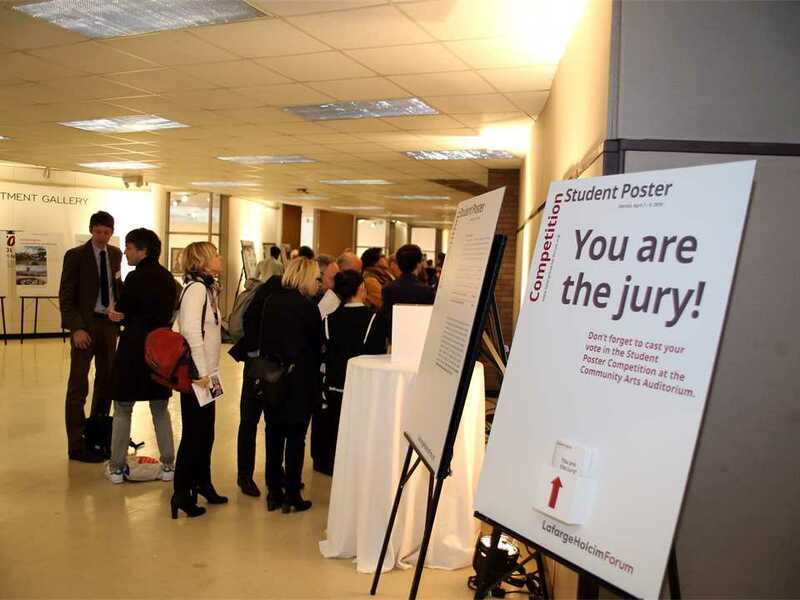 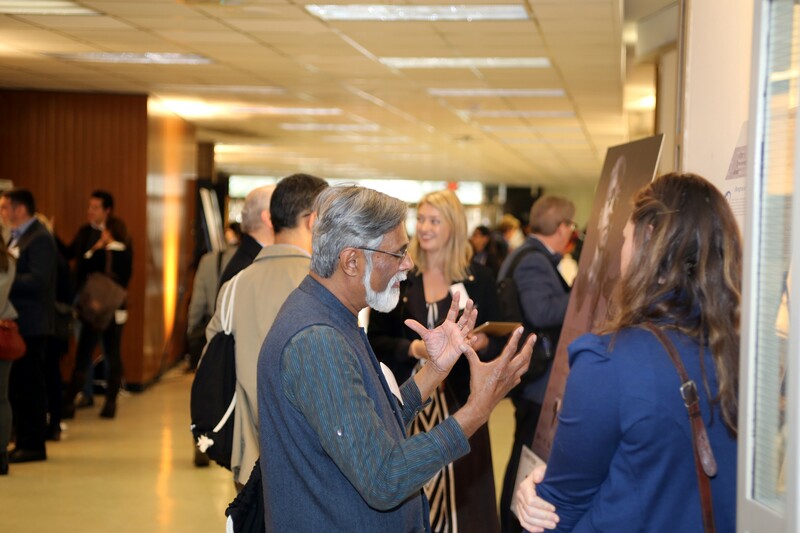 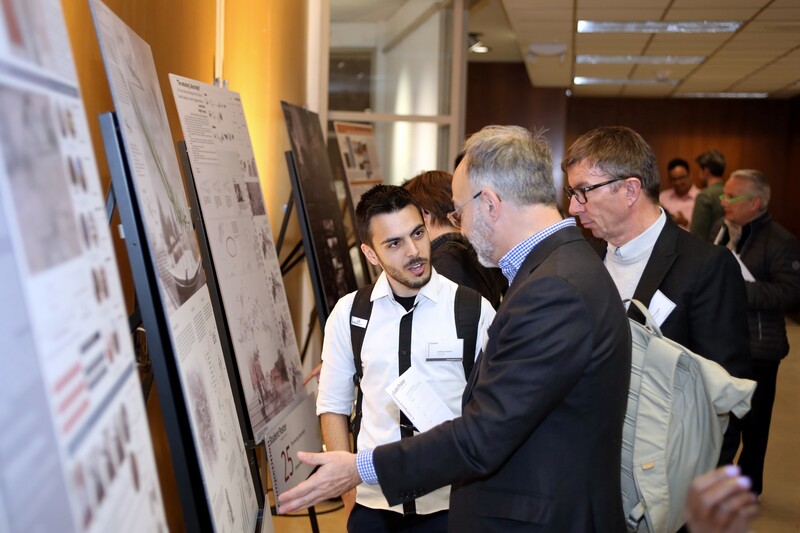 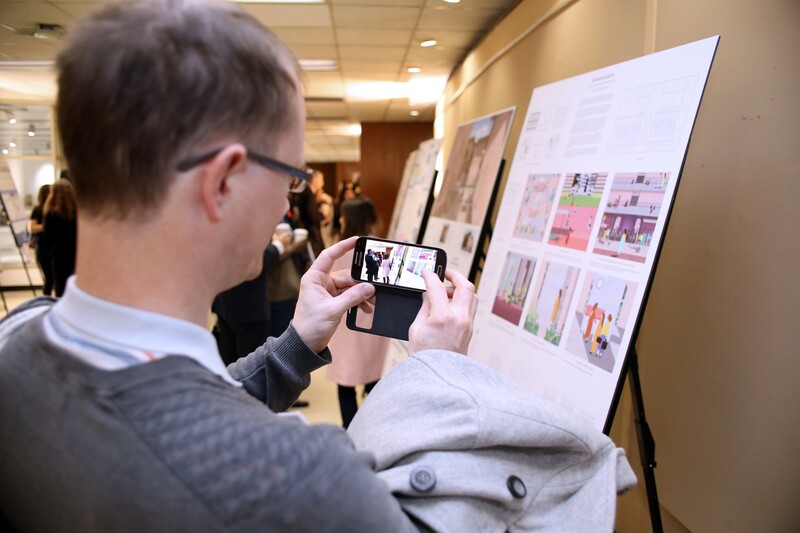 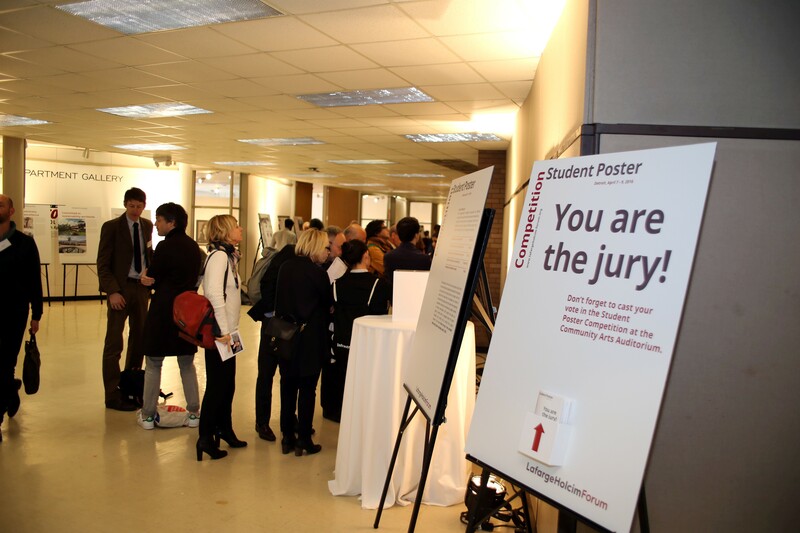 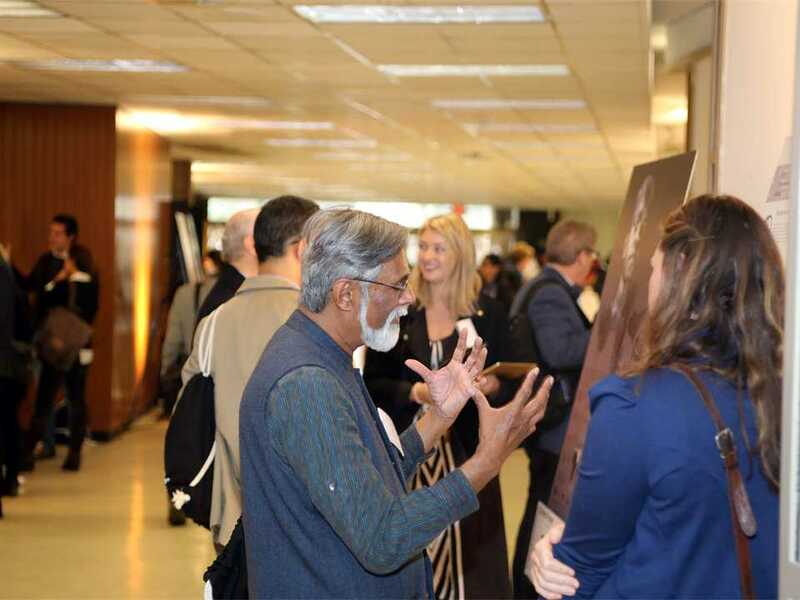 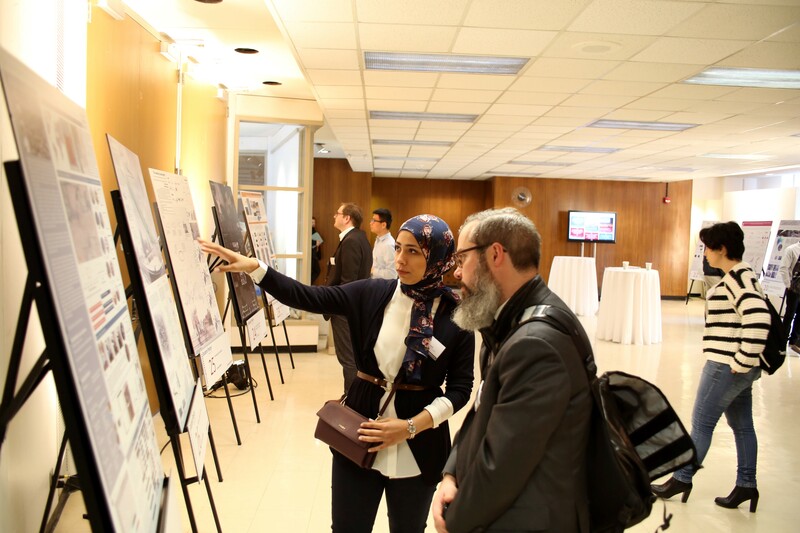 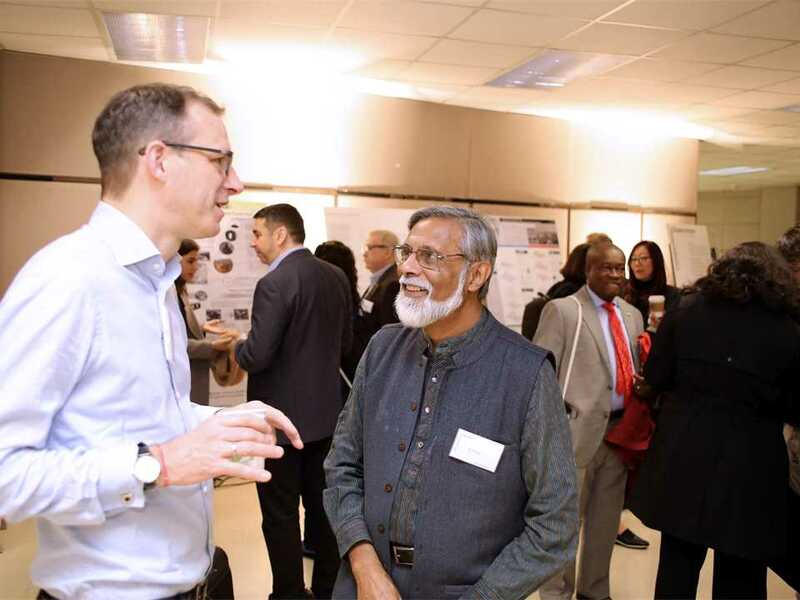 Their projects and their authors encouraged debate and networking as conference attendees contemplated the approaches presented in the project gallery. 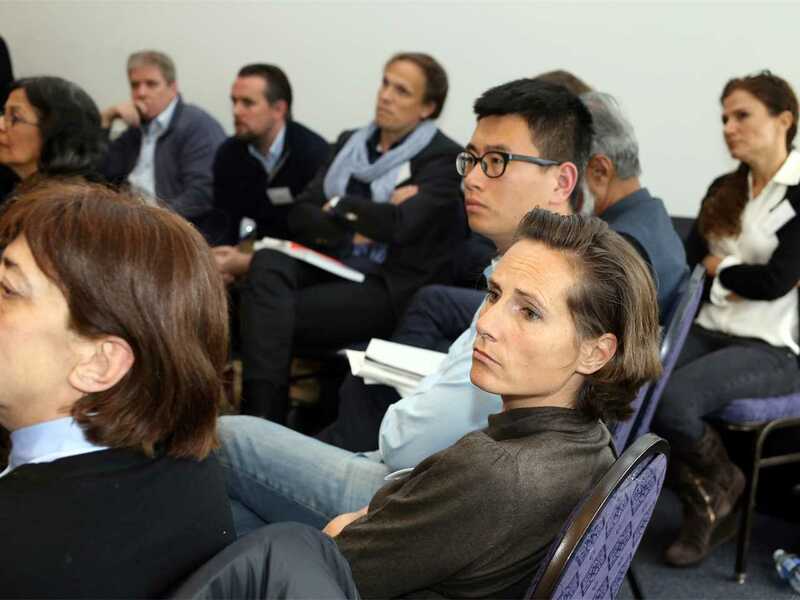 A publication inspired by the Forum containing essays, reports and case studies will be published by Ruby Press Berlin later in the year. 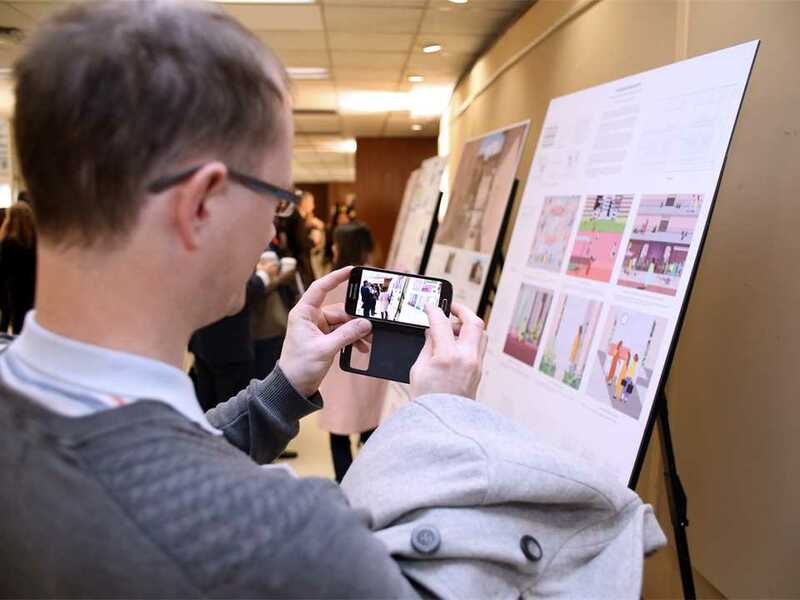 The book will evaluate current architectural practices and models, and also introduces materials and methods to maximize the environmental, social, and economic performance of the built environment in the context of “Infrastructure Space”. 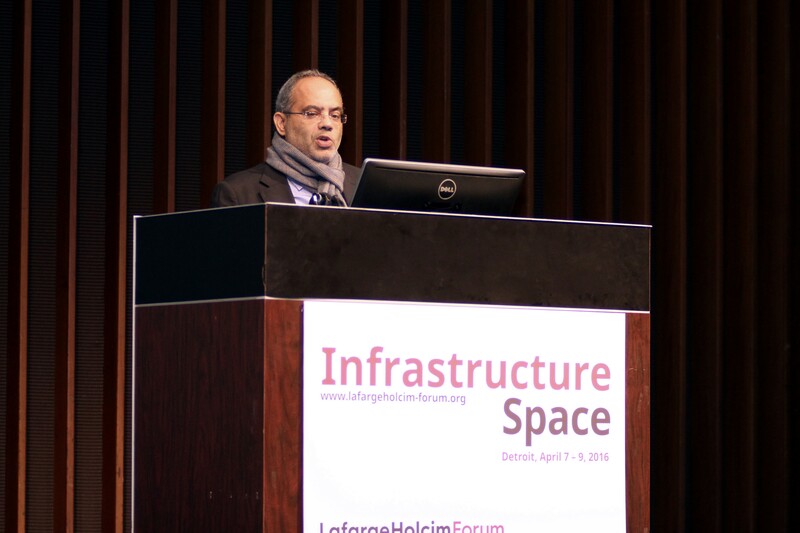 Investments in infrastructure have significant impacts for both developed and developing countries. Developed countries face the challenge of maintaining and renewing public infrastructure including highways, electricity grids and sewage systems. 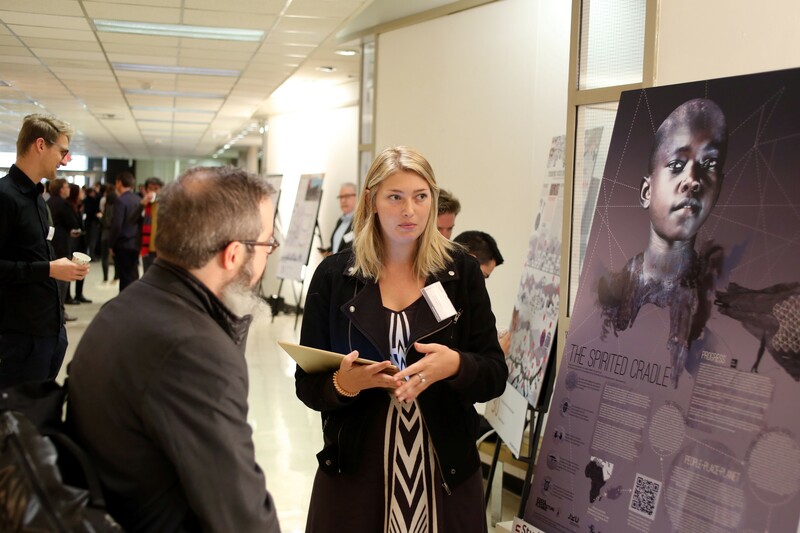 In developing countries, there are enormous challenges to meeting the needs of expanding populations. The provision of sustainable infrastructure creates an opportunity to reorient our ways of inhabiting the planet – where infrastructural systems are more than technical systems, but become a common good within an ecology of interrelationships vital to furthering life. 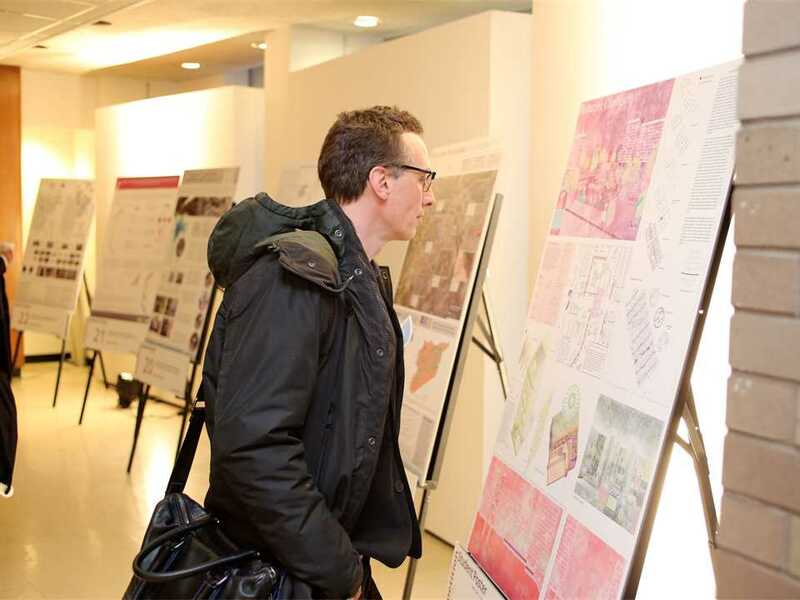 The infrastructure that fueled Detroit’s growth became burdensome to maintain. 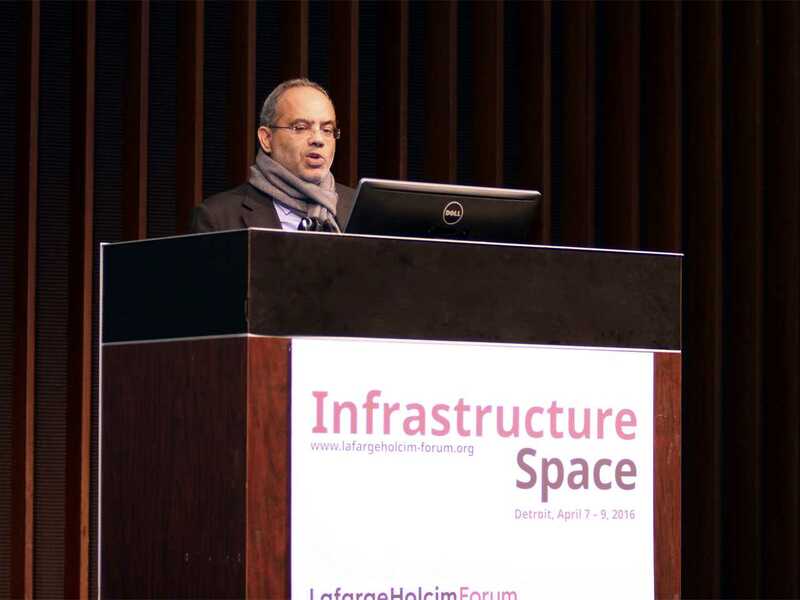 Now, whole infrastructure systems are not only past their projected life spans but also service the city in ways incompatible with its current and future forms of occupation. 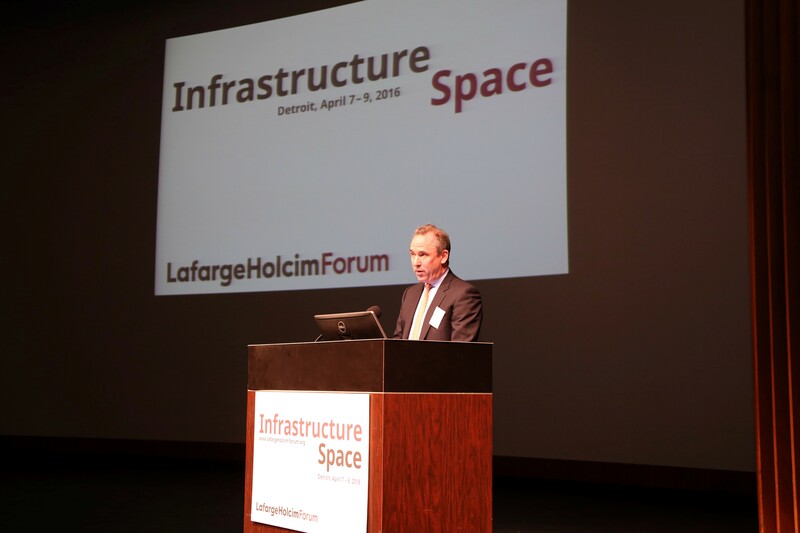 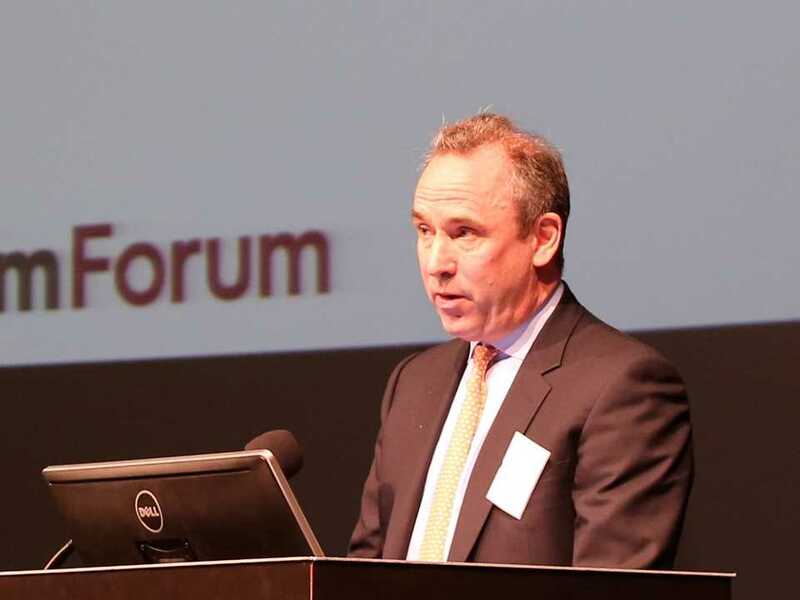 In his welcome address at the LafargeHolcim Forum 2016, Robert Fishman (video link, left), Interim Dean of the Taubman College of Architecture & Urban Planning at the University of Michigan, explained the significance of the city of Detroit to the Forum topic “Infrastructure Space”. The activities of the Holcim Foundation for Sustainable Construction – known since 2003 for its academic Forums, international Awards competitions, online information hub and an array of publications – continue under the name LafargeHolcim Foundation for Sustainable Construction following the merger of Lafarge and Holcim to become the world leader in the building materials industry. 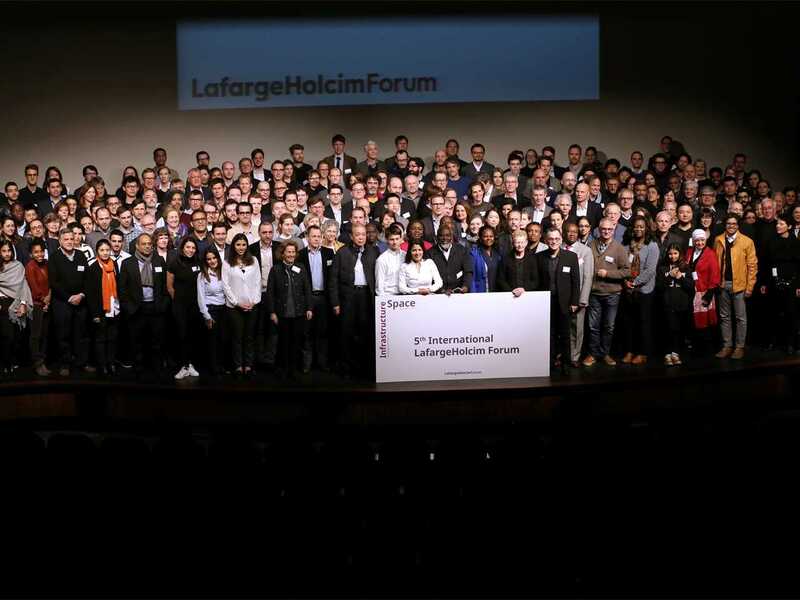 Together with its affiliated universities, the Foundation advances the academic discussion of sustainable construction through the tri-annual LafargeHolcim Forum. 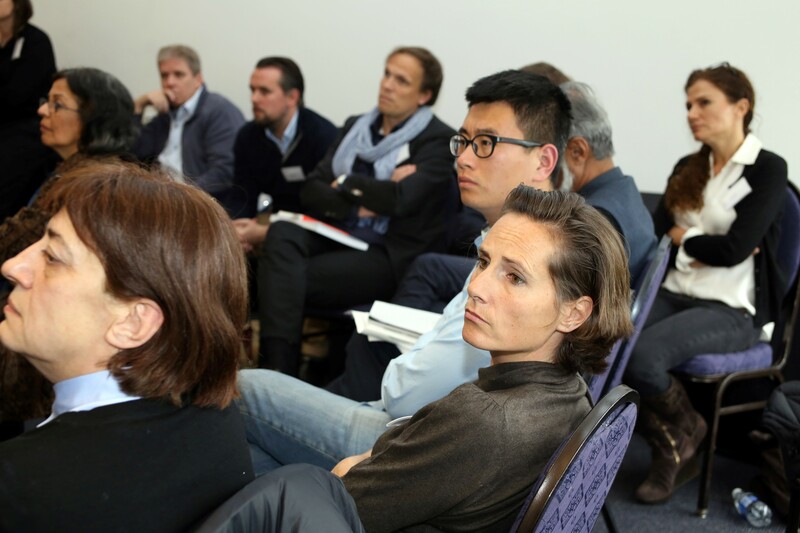 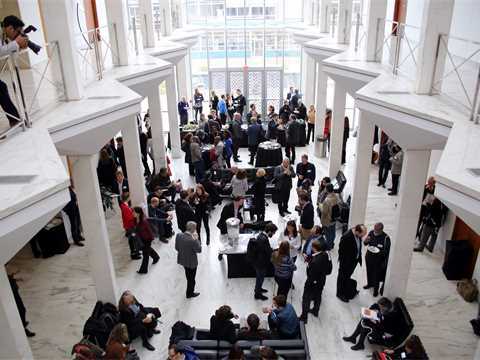 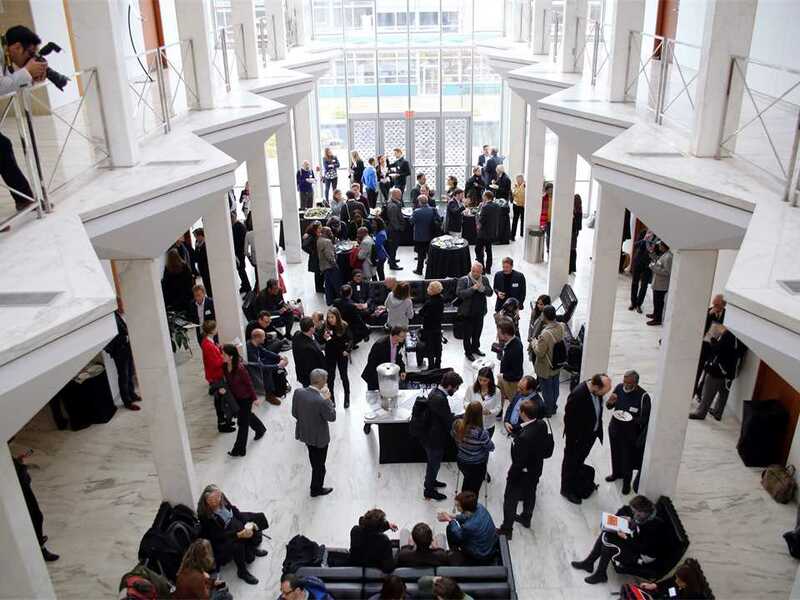 The conferences are complemented by the release of technical publications, and offer architects, engineers, building professionals and experts from all generations and geographic locations an interdisciplinary academic platform for exchanging ideas and information. 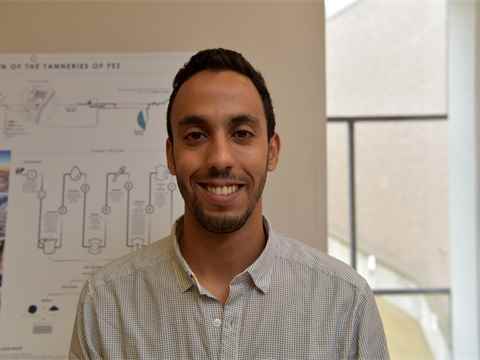 Abdellaloui Najib is a Masters Degree student in the School of Architecture at the Ecole Supérieure d’Architecture (EAC) in Casablanca, Morocco.